The Milano, located at 1003 Burnaby Street is a residential condo building located in the West End neighbourhood of Vancouver. 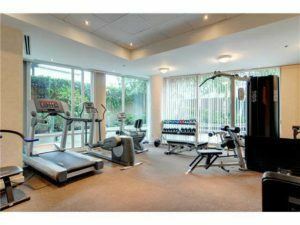 Blocks away from English Bay, and only steps away from the entertainment and business district. Built in 1999, The Milano is a concrete and glass building developed by Cressey Developments and Paul Merrick Architects, interior designs by Robert Ledingham. The Milano consists of 18 stories and 136 units (studio, 1 bedroom, 2 bedroom). Amenities include a full fitness centre, theatre room, rec centre, and bike room, inner courtyard, and underground parking.